Disputes over private lending in China are making their way into the courts, bringing a host of legal issues. Many bankers and economists have been looking at shadow banking in China. But what happens when debtors fail to pay their debts or challenge the lending arrangements? When parties to shadow lending end up in dispute resolution, it raises unique issues for the institutions that hear those cases. What few outside of China have noticed is that shadow lending disputes account for an increasingly large proportion of civil cases in the Chinese courts and involve increasingly large amounts of money. The law on shadow lending is particularly unclear and fluid, causing uncertainty for debtors, lenders, and judges. Government recognition of internet lending and peer-to-peer (P2P) lending, now at an early stage, likely means that many more shadow lending disputes are destined for the already stressed court system. What are shadow banking disputes? In China, shadow lending is most often called 民间借贷 or 民间贷款 (literally, private lending), and involves lending outside the formal banking system. One of the vice presidents of the Supreme People’s Court commented that this is not a legal term, and regulators and judicial authorities have different views of it. Regulators consider loans made by persons or entities other than commercial banks to be “private lending,” even if they are made by microfinance companies and pawnshops, which have approval to make loans. 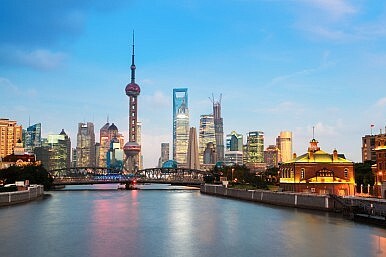 A former China Banking Regulatory Commission official contacted in connection with this article commented that regulators want to stay far away from the messy complexities of private lending. Because debtors often default on these loans, the courts have become the regulator of last resort. What institutions are hearing shadow banking disputes? The greatest number of shadow banking disputes are heard by the Chinese courts and some of that data is set out below. An increasing number are heard by China’s arbitration institutions, but a loan agreement must have an arbitration clause to be heard by an arbitration institution (and it is more difficult to obtain accurate numbers for those disputes). The Shenzhen Court of International Arbitration, located in an area where many micro-credit companies are headquartered, found that about 10 percent of their 2014 caseload involved shadow banking disputes. Many more shadow banking disputes are heard by the local courts in Shenzhen. The bars represent the number of private lending cases per year; the line represents the monetary amounts involved. It is not easy to obtain detailed national data on shadow banking disputes. According to President of the Supreme People’s Court (SPC) Zhou Qiang’s March 2015 report to the National People’s Congress, in 2014 Chinese courts heard over one million shadow banking disputes, accounting for 20 percent of all civil cases in the Chinese courts. Putting together that data with a more recently released report on data concerning civil and commercial cases, shadow banking disputes constituted about 60 percent of all loan disputes heard in the Chinese courts. The chart to the left, compiled by the SPC, graphs the numbers of private lending cases, excluding those between companies (because it has considered them illegal), from 2008 through the first half of 2013, and total amounts in dispute. At the provincial level, it is not possible to easily obtain a breakdown of the number of private lending cases because many of the yearly provincial court reports did not break out the number of private lending cases the courts receive from other civil cases. But there is data available for select provinces. A comparison of the number of private lending cases in 2014 for four Chinese provinces, based on local court data. 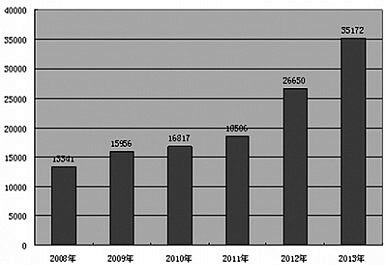 Zhejiang, nationally known for its active private business sector, led the way with 132,000 cases in 2014 (110,000 in 2013), of which about 15,000 were heard in the Wenzhou courts, with total amounts in dispute of over RMB 86.3. billion ($13.9 billion). The number of cases and the amounts of money in dispute are growing both in urban and rural areas. A report by a Qingdao city court published at the end of last year noted that private lending cases accounted for about half of commercial cases and the amounts of disputes and complexity were escalating. 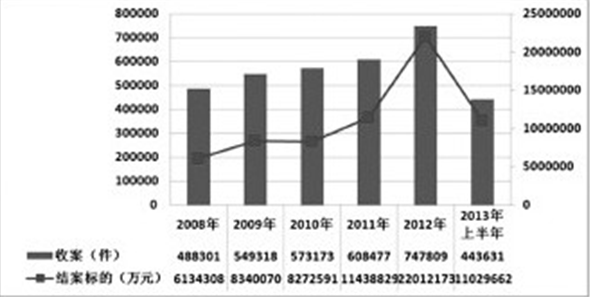 Data from Sichuan, contained in the two graphs below (both from People’s Court Newspaper, 人民法院报), show that both the number of private lending disputes and the amount of money involved have increased dramatically since 2008. 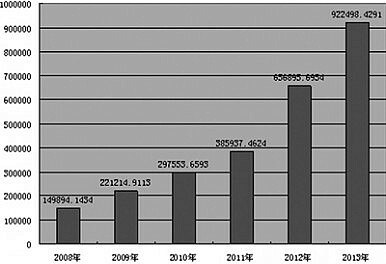 Total amount of private lending cases in Sichuan, 2008-2013. Legislation on private lending is another headache for courts hearing private lending cases. The legislation has to be pieced together from multiple sources, because regulations on loans are only applicable to financial institutions. Moreover, the SPC’s policies on private lending have shifted. The SPC was originally hostile toward loan contracts between companies (upholding PBOC regulations on the subject), but more recently has started to change its position in the last two years, as the government has started to recognize P2P lending and internet lending. In the areas of China where the private sector is strongest, there have been the most private lending disputes. To provide some certainty to local judges (and any of the local companies with legal counsel), those local courts (usually at a provincial level, such as Zhejiang, Jiangsu, but also Shenzhen) have issued lengthy guidance on and reports concerning these disputes. Still, the provincial courts are looking to the government and the SPC to provide more comprehensive guidance. Private lending cases are fraught with legal issues for the judges trying to deal with these disputes. The number one problem: finding the debtor. In China, the courts serve by process, but in many private lending cases, the defendant has disappeared, leaving the court to serve by notice. According to statistics from a Qingdao court, only about 20 percent of cases could be served directly. If the debtor is nowhere to be seen, settlement or mediation, which Chinese judges prefer as the best way to dispose of cases, is impossible. Further complicating things, many private lending cases are based on IOUs or other sketchy evidence, or the loan was made in cash rather than by a bank transfer. Once a case is decided, it’s hard to find assets with which to satisfy the judgment. In addition to the problem of absent debtors, there are many problems with the security for these loans. Very often, the mortgage or other security has not been registered, or the guarantor hasn’t provided contact details or is simply fraudulent. There’s another level of complexity to many of these cases as well. Private lending has become a business, with many SMEs, micro-credit companies, investment companies, guarantee companies, and chains of companies (as described in this recent King & Wood Mallesons client alert), involved, along with increasing amounts of money. Many listed companies are establishing microfinance companies so that they can earn the maximum legal interest that the courts will uphold (which is four times the bank rate) rather than engage in their traditional business. But the legislation and guidance does not given anyone certainty. A big concern for the courts is private lending disputes as evidence of criminal activity. Some loans are used as a cover for gambling debts or transactions in the illegal drugs trade or prostitution. Many private loans exceed usury limits. Judges need to puzzle out whether the lender is engaging in “illegal fundraising” (described here), which can result in criminal liability. The lower courts (and parties to private lending arrangements) are looking for more legal certainty rather than a mere “permissive attitude.” Under reforms implemented this spring, lawsuits are now easier to file. If P2P and internet lending cases are headed for the courts as well, the flood of cases and the chaotic state of the law, combined with the forthcoming lifetime responsibility system for mistaken cases, may lead even more judges to leave the bench. Susan Finder blogs as the Supreme People’s Court Monitor. She previously taught law at the City University of Hong Kong, where she wrote the first comprehensive analysis of the Supreme People’s Court and practiced with the China business group of Freshfields, Bruckhaus and Deringer and two U.S. law firms. Private Lending in China: Out of the Shadows? A judicial interpretation from the Supreme People's Court sets out basic rules for China's "shadow banking" sector.